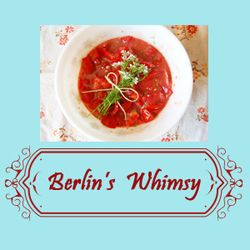 Berlin's Whimsy - Chicken Chronicles: The Circus. Our chickens are fairly tame because of all the handling they receive----and training. They each have a turn on a step stool where my kids "train them." They train them to be tame and to sit still and enjoy it. I doubt they actually enjoy their training sessions for they'd much prefer another watermelon rind or some leftover rice----eating, that's what they really enjoy. And eating is what our newest member of the flock enjoys, too. A squirrel took up residence under our chicken's coop. The coop is probably a squirrel's idea of the Hanging Gardens of Babylon in its oasis-like perfection: a fence to keep the predators away, a continuous supply of food (a smorgasbord, really), and fine shelter. To see the squirrel's plump cheeks and swinging belly, I suspect he's eating more than his fair share of our chicken's feed, too. Ah, but the story becomes diabolical...Right around the time this sneaky squirrel showed up, we discovered someone at the end of our driveway removing something from the trunk of his car. A cage. Upon further inquiry, we learned that this person had been catching squirrels in his own garden and releasing them at the end of our driveway! In fact, he had already released three squirrels. We told this man that we were already suffering headaches from his relocation project and that we had had enough of his squirrels. He was apologetic, but we still wondered at his choice of our driveway for his squirrels. Is there some sort of regulation on "excessive squirreling?!" It's turning into a circus around here!